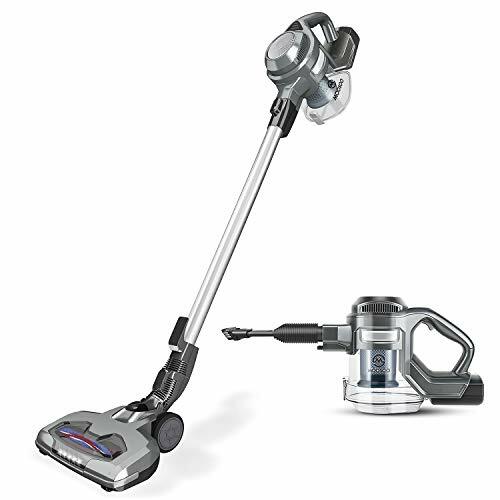 The SU-VAC Cordless Vauum Cleaner offers the power you need to keep your cordless vacuum makes it easier than ever to clean up, down and all-around. With multi-floor cleaning performance, you can move from room to room, cleaning both hard floors and carpet. 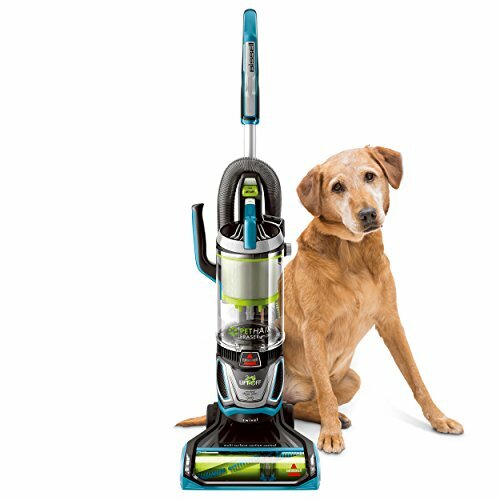 The lightweight, cordless design lets you quickly clean high and low with ease. Go from hard floors to carpets with the touch of a button! 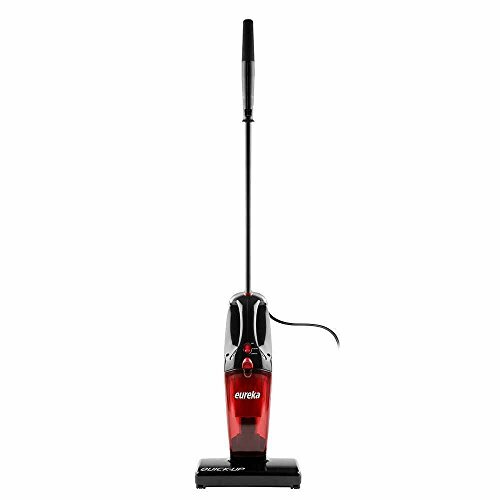 130W brush motor supports powerful suction, provide a deep, thorough cleaning. Detachable rechargeable 2200mAh battery fully charges in 5-6 hours for up to approx.30 minutes for cleaning time. 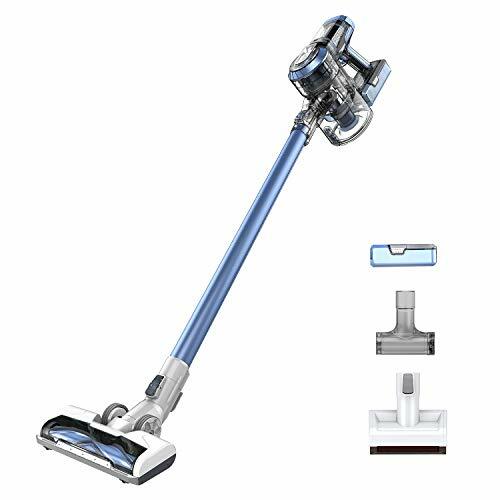 LIGHTWEIGHT & MANEUVERABLE: Weighs only 3-4.7 lbs depending on attachments, equipped with full-size motorized brush and 3 accessories, seamlessly customize your vacuum to tackle your specific cleaning needs including floors, stairs, counter-tops, ceiling or vehicle interiors. 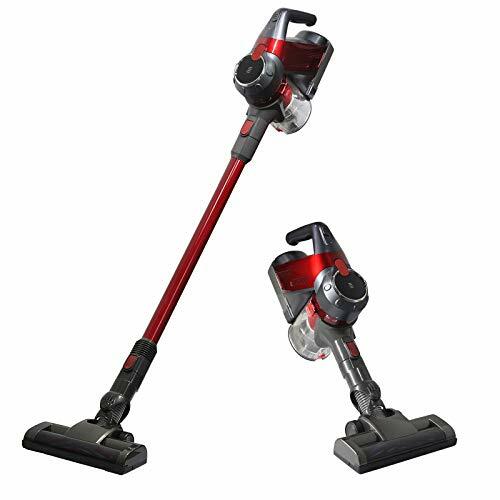 2 IN 1 & SWIVEL STEERING: Can be used as an upright or hand-held vacuum. 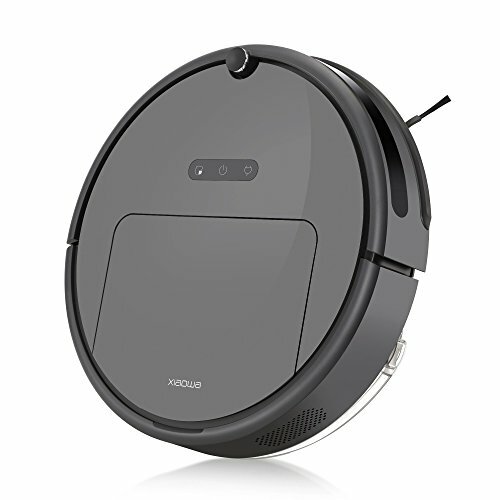 Equipped with swivel steering and a self-propelled motorized nozzle. 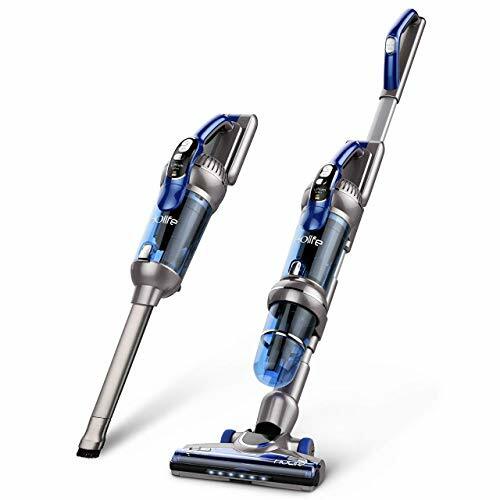 Maneuver this cordless stick vacuum with 120 degree swivel main brush head into corners, around and under furniture with ease. 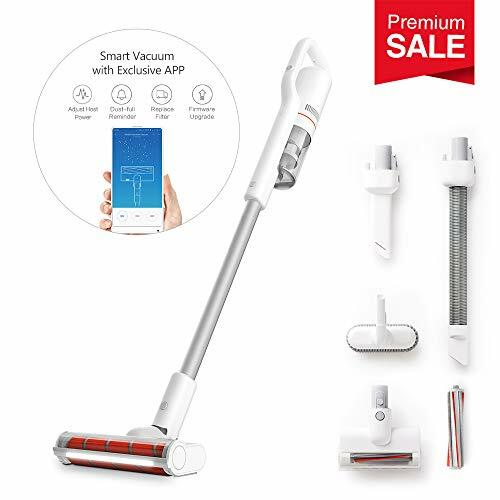 FADE-FREE HIGH POWER: Up to 30 minutes of fade-free, provides with an impressive 7-8Kpa powerful suction, 130W brush motor engineered to pick up ground-in dirt and fine dust from hard floors and carpets. EASY MAINTENANCE: Easy to remove the washable dust container, one simply button push action gives you a hygienic bin emptying experience. The wall-mounted dock makes your storage even easier and save your space. RECHARGEABLE BATTERY: Equipped with detachable 22.2v 2000mAh Lithium Ion Battery. Four indicator LED lights ensure you always know when it’s time for a charge.